The iPhone XR may be the be-notched version of the SE line of old. It offers many new Apple features in a slightly cheaper chassis. This alternative to the XS and XS Max may be attractive for those who like different colors, don't care that much about screen quality and don't want to spend all of US$1000 on a new iPhone. 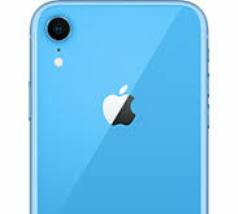 The iPhone XR is now available for pre-order on the Apple website, as well as through some other retailers and carriers. It may be an option for people who like the idea of the A12 bionic processor, but don't want to pay about US$1000 for this kind of upgrade. The iPhone XR may offer all the 'core' features and relative advantages of this 7nm chipset (and iOS 12), but also lacks some of the bells and whistles of the iPhone XS or XS Max. On the other hand, the iPhone XR is bringing its own model-exclusive features to the table. They include 6 funky colors for the glass rear-panel also found on the iPhones XS. They include a new-to-Apple blue and 'Product' Red. On the other hand, the display resolution on the XR has been knocked down to 1792 x 828 across a 6.1 inch LCD display. This gives a resolution of 326 ppi, which is a sizable step down from the XS line, whatever Apple may claim to the contrary. The iPhone XR also has a single 12MP rear cameras, as opposed to the dual shooters found on its premium counterparts. The XR starts at US$749 for the 64GB version, and ends at $899 for the 256GB variant. Currently, it would be delivered following a pre-order at around the end of the month (depending on location). It will be interesting to see how many Apple fans may prefer this model to its more high-end siblings.